Serena Williams has showed off her enormous new wedding ring in a sweet snap with daughter Alexis. 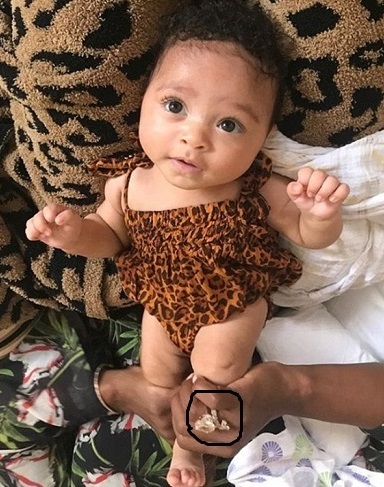 'Daddy knows how much I love leopard print,' the tennis ace caption the snap of the adorable up-side-down tot, rocking a tiny leopard-print dress. Lying on her mom's lap, she even boasted a cosy-looking leopard-print blanket to boot. She shared the image to her little girl's own Instagram account. 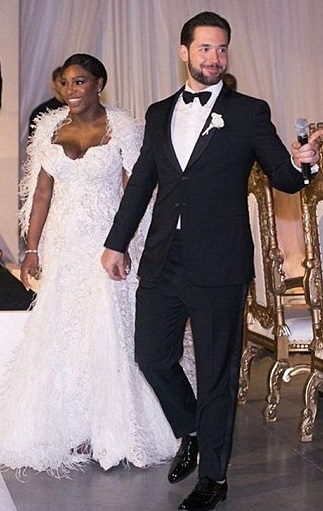 The 39 Grand Slam winner married Reddit co-founder Alexis Ohanian in New Orleans on November 16 in a Beauty and the Beast-themed wedding attended by A-list stars including Beyonce and Kim Kardashian.